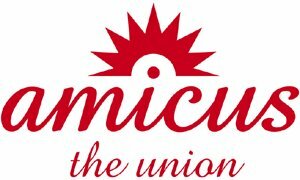 Amicus – the union with the largest number of members affiliated to the Labour Party – has become the first major union to declare its position in the leadership contest, and has predictably come out for Gordon Brown. Unison, GMB and the TGWU are keeping quiet, arguing that they have a better chance of shaping the debate if they do not endorse anybody at this stage. As Amicus general secretary Derek Simpson is well aware, the Psychologically Flawed one is no special friend of organised labour. His policies include a continued public sector pay freeze and a commitment to see through Blair’s so-called ‘public sector reforms’. It is also slightly disquieting to hear Simpson say ‘Gordon Brown should take the reins before the turn of the year’. That’s a bit presumptuous, isn’t it Derek? Don’t you think there should be, like, a contest first? Y'now, in the interests of democracy and all that? The same page also details a survey of Amicus workplace reps, which found a hefty 75% of these activists want Blair out now.